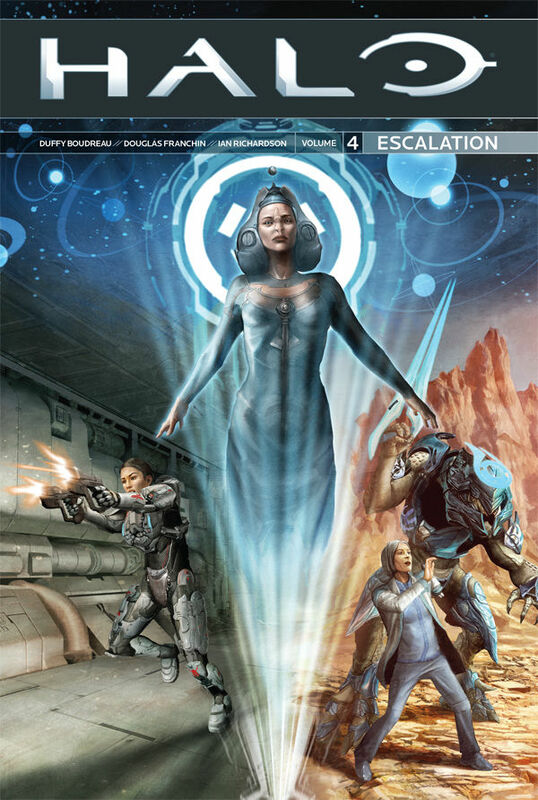 This is the wrap up volume of the Halo: Escalation series that originally lead in to the release of Halo 5, and while it has a great build up, unfortunately it also ends on a slightly disappointing note. Operation: ATHENA is underway to stop Jul ‘Mdama and Dr. Catherine Halsey from discovering what lies within a Forerunner vault known as Absolute Record. As Commander Palmer leads a team to infiltrate ‘Mdama’s ship everything goes sideways as the portal to the vault consumes a portion of her fleet. 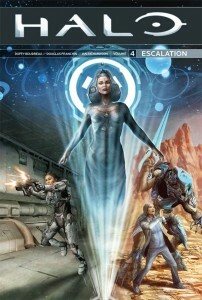 Now stranded, Palmer and her team must somehow survive the Covenant but out-think Dr. Halsey who wants the Absolute Record and what it leads to: a record of every still existing piece of Forerunner technology as well as a means to start building a facility that’ll grant the ability to activate a fleet of warships meant for exploration.